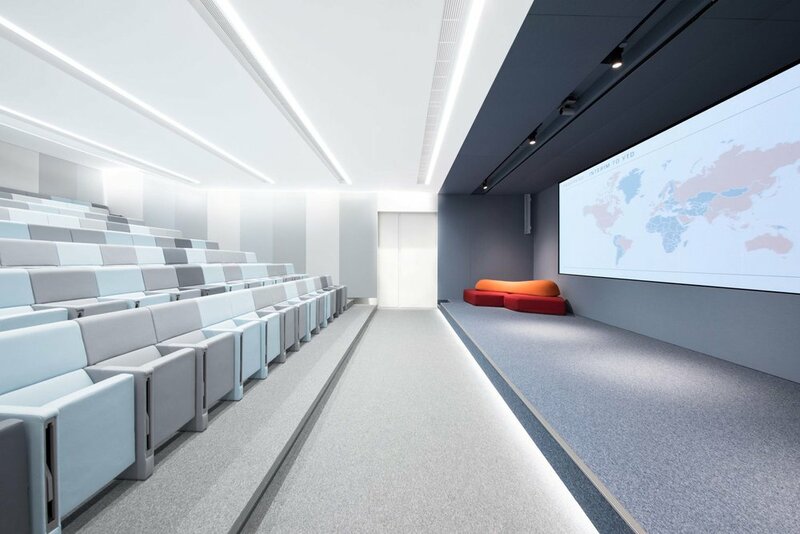 Bean Buro designed a fresh and energetic convention centre measuring 1,500sqft (140sqm), designed to seat 150 people, can be accessed from the welcoming reception for seminars and high resolution screening using the full width LED display screen. 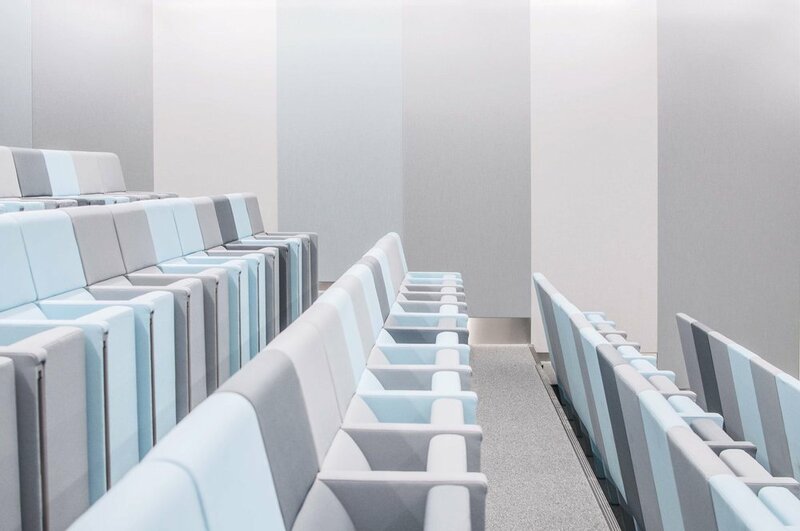 High-performance acoustic panels, wrapped with luxurious fabrics by Kvadrat, were custom made to line the interior of the convention centre, with different hues of blue creating dynamic patterns. This creates an aesthetic environment with excellent acoustic properties - promoting both productivity and well-being. The walls are washed with a soft light, emphasizing the textural quality of the fabric. This same colour pattern is utilised for the tiered auditorium seating. Moveable, flexible and stackable chairs are located to the front of the tired seating to provide additional seating if necessary. The stage area is elevated as a single volume - wrapped in a monochrome blue. This creates a strong focal point which is emphasized by a full video wall to the rear of the stage. A highlight vintage sofa in red and orange, located on the stage, reflects Kerry Logistics identity through the introduction of the brand colours.